Did you know that the word discipline means “to teach” not “to punish”? Children will make mistakes from time to time. One of the responsibilities of being a parent is teaching children how to navigate through life. What we want to avoid doing is calling a child a “bad girl” or “bad boy” or tell them that “only naughty boys or girls do that”. This does not address the problem behavior or let the child know what an appropriate alternative would be. As parents we want to teach our children, not call them names. Telling a boy or girl they are a bad child hurts their self-esteem and confuses them if they don’t know that what they did was wrong. Also, calling a child names when they misbehave can have a reverse effect on your child. Children crave attention from their parents. If a child is getting most of your attention when they are a “bad boy” or “naughty girl”, then they are going to repeat those inappropriate behaviors more often to continue to receive attention, even if is negative attention.. When a child misbehaves it is important to let him or her know that what they did that was wrong, why the behavior is inappropriate and what behavior you want them to do instead. Showing a child the appropriate way to behave rather than inappropriate behavior is important because children are learning and don’t know how to act in certain situations. Children learn what is right when parents teach and guide them. When a child behaves correctly, it is very important to give him or her praise immediately and tell them that what they did was right. This will reinforce the appropriate behavior in the child. Ginsburg, K. R. (2011). Building Resiliency in Children and Teens. Grove Village IL: American Academy of Pediatrics. 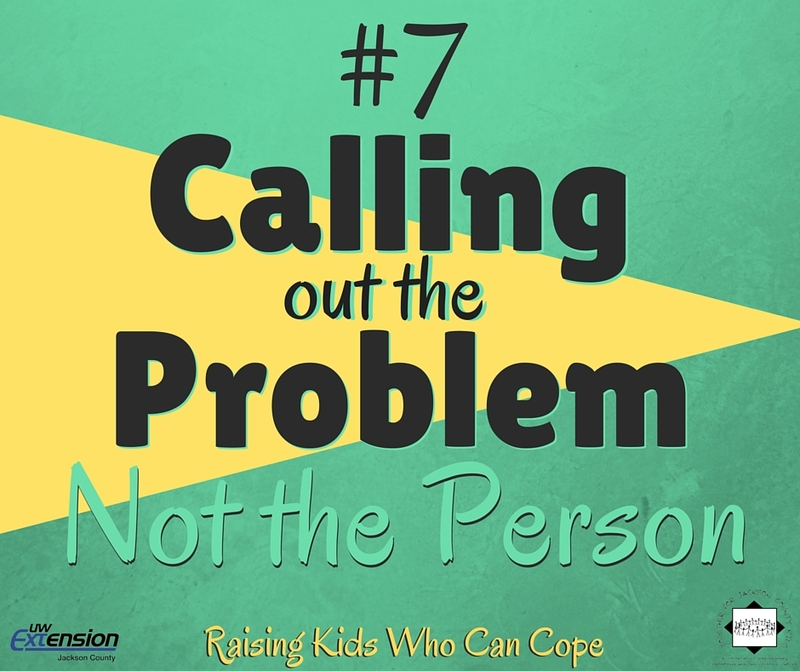 This entry was posted in Raising Kids Who Can Cope and tagged coping skills, discipline. family problems, youth. Bookmark the permalink.